As they engage with one of the 20th century's most provocative musical personalities, studies of the multifaceted Leonard Bernstein will always proffer new insights into the human condition. But this is the first book on Bernstein to be written by a composer, and the first by a colleague and friend who worked intimately with the maestro for more than three decades. Jack Gottlieb has been described as Bernstein's amanuensis and as the preeminent Bernstein scholar. This memoir presents fresh, sensitive, and revealing information about the everyday life of the maestro in Part One, featuring reminiscences peppered with anecdotes, humor, and stories by others. Part Two includes Gottlieb's commentaries and analysis of Bernstein's works, which have appeared in program notes for concerts by many of the world's orchestras, as jacket notes for recordings, and as articles in journals and elsewhere, beginning with the New York Philharmonic tribute A Valentine for Leonard Bernstein on February 13, 1961. 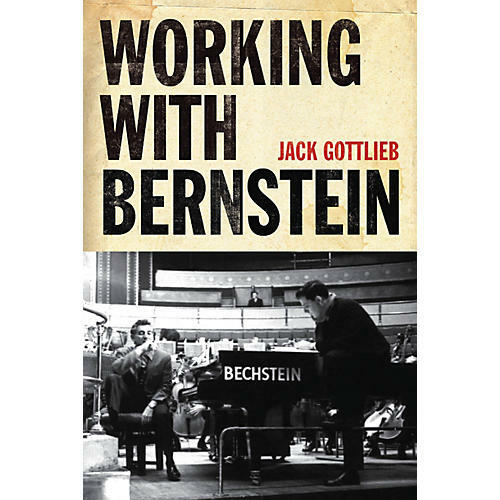 Preceded by updated remarks, this collection allows those seeking firsthand information on Bernstein's compositions to find all of Gottlieb's valuable scholarship in one place.